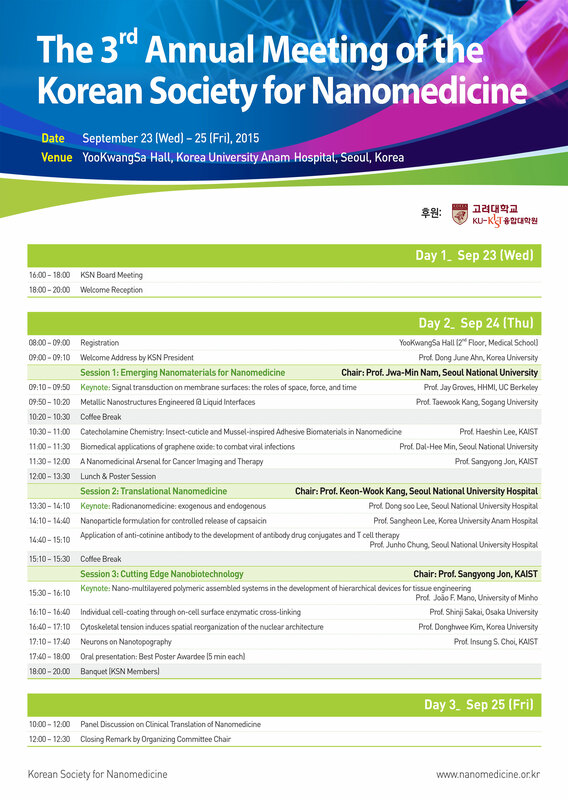 Welcome to the 3rd Annual Meeting of the Korean Society for Nanomedicine! This year we offer you an excellent academic program covering emerging nanomaterials for nanomedicine, translational nanomedicine, and cutting-edge nanobiotechnology. Invited speakers coming from USA, Europe, Japan, and domestic region are world-leading scientists who are willing to share their professional knowledge and experiences related to science, medicine, and engineering. On behalf of the Organizing and Scientific Committees, I would like to thank you for your participation and wish you a fruitful meeting ahead. 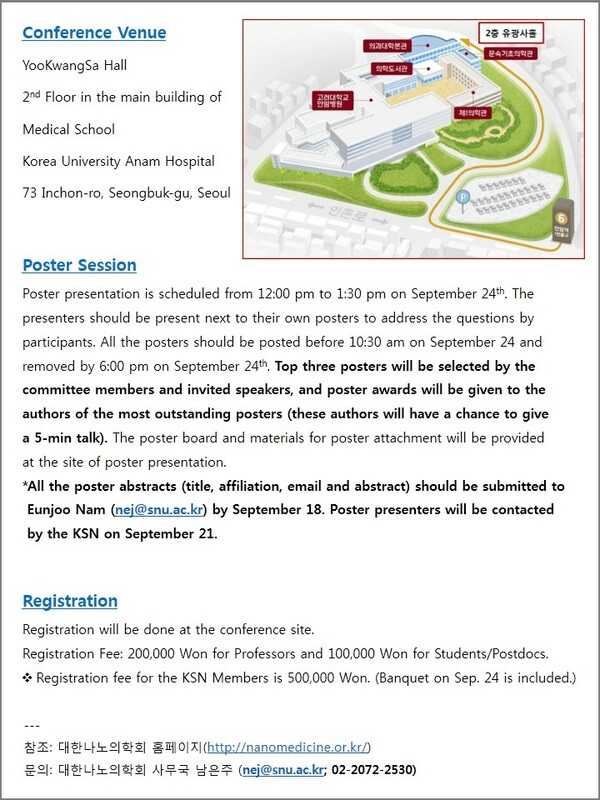 Eunjoo Nam (nej@snu.ac.kr) by September 18.